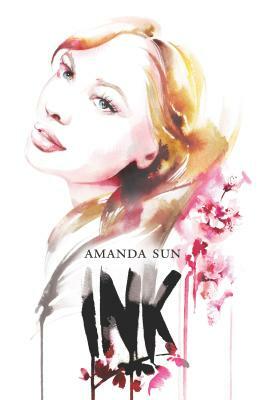 INK IS IN THEIR BLOODOn the heels of a family tragedy, Katie Greene moves halfway around the world to live with her aunt in Shizuoka, Japan. She doesn't know the language, she can barely hold a pair of chopsticks and she can't seem to get the hang of taking her shoes off whenever she enters a building.When Katie meets aloof but gorgeous Tomohiro, the star of the school's kendo team, she is intrigued by him...and a little scared. His tough attitude seems meant to keep her at a distance, and when they're near each other, strange things happen. Pens explode. Ink drips from nowhere. And unless Katie is seeing things, drawings come to life.Somehow Tomo is connected to the kami, powerful ancient beings who once ruled Japan--and as feelings develop between Katie and Tomo, things begin to spiral out of control. The wrong people are starting to ask questions, and if they discover the truth, no one will be safe.